Apparently someone drove an electric car from London to Edinborough .. then the BBC, rather than cover that person, took it upon themselves to drive a Mini-E from London to Edinburgh. Nikki (below) says they used public charging points and didn't do a very good job of the trip, which ended up improperly extending the negative stereotypes. I don't know enough about the situation to comment further. Nikki's a real passionate girl, with her heart in the right place! Unfortunately, her heart has rushed ahead of her brain! Nikki, has in her rush to protest has missed the entire point of the BBC's report. If she had listened to the BBc reporter, he conceded from the outset that in selecting a Mini E, he was being unfair since the Mini E is primarily designed as a city commuter. But he wanted to attempt to contrast the development difficulties and infrastructure required for an affordable family EV (capable of carrying 4 passengers+luggage) with its ICE version. He also conceded that he wasn't fair to the ICE because he travelled alone, where with 4 passengers the ICE would have an enormous advantage. The BBC, far from stereotyping negatives, tried to illustrate the lack of appropriate charging stations, and general lack of preparation by governments and utilities to cope with an influx of EV's. 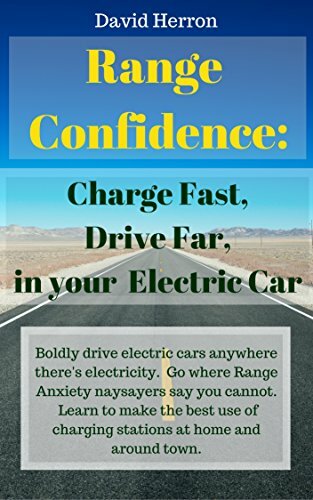 Nikki's assertion that the journey should have been completed in a specially prepared TESLA, fitted with a high tech fast charging system, support team, and specialist rally driver, in order to achieve a unrealistic result is absurd! Wishing something is true, and conducting unrealistic tests, are not helpful. Nor is protesting to the BBC, because the reporter is not a true believer. I watched the BBc report and found it informative and accurate. It was always intended to be a light entertainment piece. Like the Top Gear program, aiming for opinion and entertainment, rather than dull morality. Isn't someone going to boot that spammer...? In British Columbia, there is a fairly straight forward definition too.